It’s going to be a long three-year wait until the Raiders make their grand entrance, but there is another huge player ready to break the ice in the Vegas sports market – the NHL’s Las Vegas Golden Knights! According to the National Hockey League (NHL), more than 21.5-million fans are in attendance across all the regular season NHL games. The average value of an NHL franchise today is more than $517-million, and $4.1-billion in revenue was realized by the league in 2016. NHL teams have a combined 5.5 million Twitter followers, and the Chicago Blackhawks alone boast more than 2 million fans on the popular social media platform. It’s looks like it’s safe to say, hockey is a growing sport and one that boasts cross-border appeal that is undeniable. Yes, 50% of Canadians claim to be hockey fans, while just 5% of Americans do, but it’s increasing by the year, and the addition of a new team to the NHL is an exciting promise for this popular sport – and an even more exciting proposition for the city of Las Vegas. Who Are the Golden Knights? 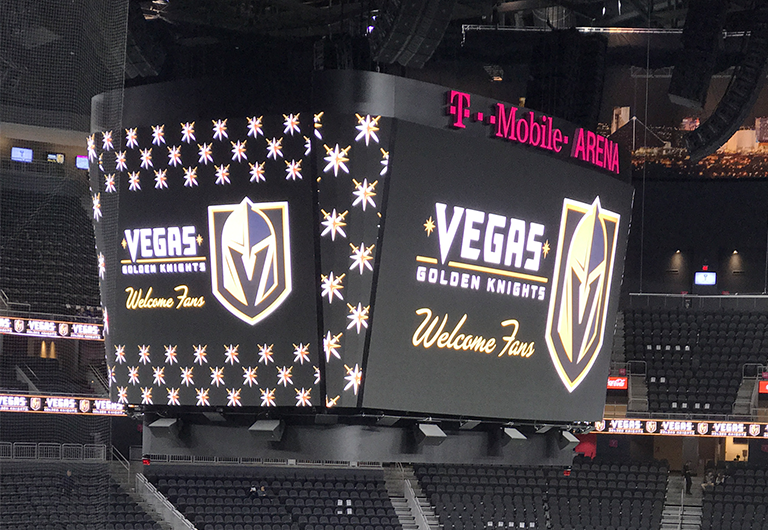 The NHL’s newest team, the Las Vegas Golden Knights, will officially be Sin City’s first-ever major professional sports organization, and the town is beginning to feel the electricity of the development. 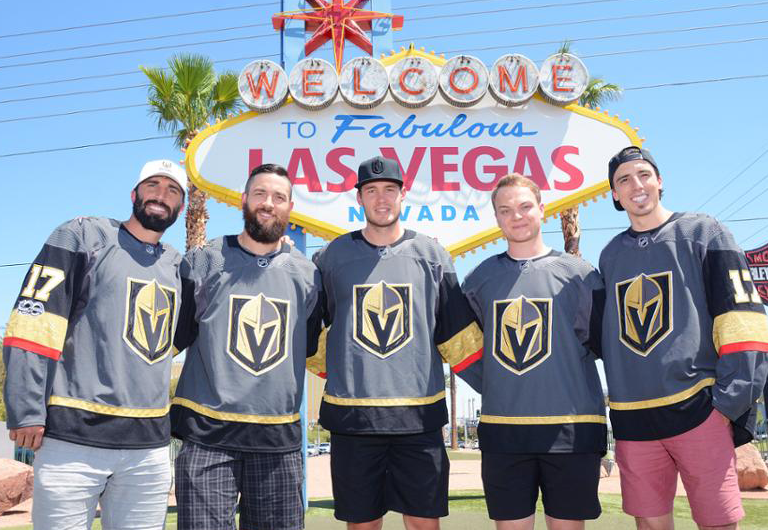 To help spread the word on the new team, the Golden Knights have formed a partnership with the D Las Vegas – one of Downtown Vegas’ iconic and much-loved casino/hotels. The D Las Vegas can now sell Golden Knights-branded apparel and accessories, in a bid to boost visibility of the team throughout the Vegas market, and beyond. The choice to leverage a Downtown Las Vegas casino to strategically grow awareness of the new team is quite telling – as a serious rise is occurring right now in the DTLV market. New and exciting loft-style residences are booming in the area, hotels and casinos are attracting visitors from all over the world, the Fremont Street Experience is a bucket list item for most, and terrific schools, diverse dining opportunities, and eclectic shopping venues are everywhere in DTLV. The T-Mobile Arena, on the strip, is the new home of the Las Vegas Golden Knights, and it is a wondrous venue. Configured for ice hockey, it holds 17,500 raving fans and was opened just three years ago at 3780 South Las Vegas Boulevard. This location was originally called the Las Vegas Arena during the construction phase, but the massive telecom company T-Mobile acquired the naming rights and it is now simply called the T-Mobile Arena. Home to the PAC-12 Tournament, numerous high-profile UFC fights, the Miss USA Beauty Pageant, and dozens of other world-class events, the arena represents a fitting home for Las Vegas’ first ever professional sports team. The team will train at the Summerlin Golden Knights Training Center, which is estimated to have cost upwards of $25-million. The 146,000-square-foot hockey facility is impressive to behold, with features like leading-edge training rooms and facilities that will no doubt attract top talent from around the world. Two regulation-size hockey rinks are housed there, as is a 9,000-square-foot restaurant, a pro-shop, and 20,000-square-feet of office space on the second floor for team executives and other key personnel. 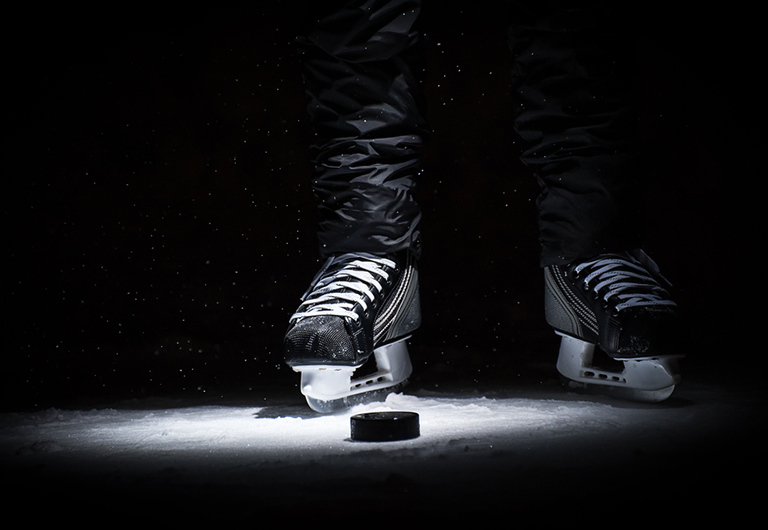 The training facility offers plenty of room for youth and adult hockey leagues, and it is intended to be used as a publicly-accessible facility during certain times of the season and off-season. Were the Golden Knights Included in the NHL Entry Draft? Not only were they included – they were the main event! The NHL Entry Draft was held in late June 2017 and aimed to provide the new team with their full roster of players. The way is works is pretty simple – the Las Vegas Golden Knights received 30 total picks, one from each existing NHL team, and they must use these picks to choose at least 14 Forwards, 9 Defensive men and 3 Goaltenders. At least 20 of the Golden Knights’ 30 picks must be under an active contract for the upcoming season, and the overall salary of the entire lot of picks must be between $43.8 million and $73 million per year. The Golden Knight’s picks can be found by reviewing Sports Illustrated’s complete list. What Does This Mean For Las Vegas? Just like the recent unveiling of the exciting move by the Raiders to the LV market, this major sports-related cover story points to the growth and development of the Las Vegas market as a whole. This is not simply a vacation destination anymore – instead, Las Vegas, especially downtown, is a place to call home, a neighborhood you can call your home, and a place that is destined to create thousands of loyal new fans in no time.